This post is sponsored by Kellogg’s. Opinions are mine. That span of time between the holidays and spring is tough, and I am more than excited to welcome the warmth and promise of spring. 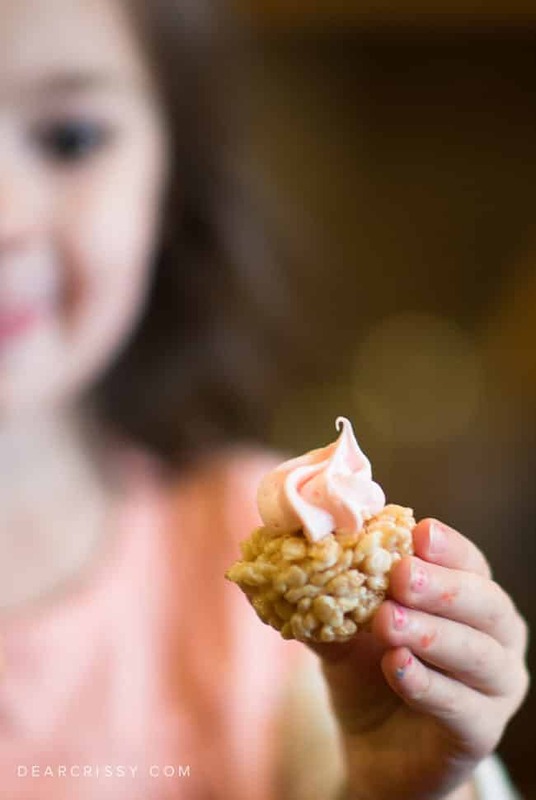 Spring has also inspired me to get creative in the kitchen, just check out these adorable spring-inspired Rice Krispies Treats® cupcakes that I made with the kids yesterday! The thing about making Rice Krispies Treats is, you can’t really go wrong. 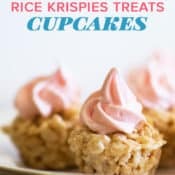 The classic Rice Krispies Treats recipe includes just 3 ingredients, and there are so many ways you can build upon that wonderful base to develop something unique. 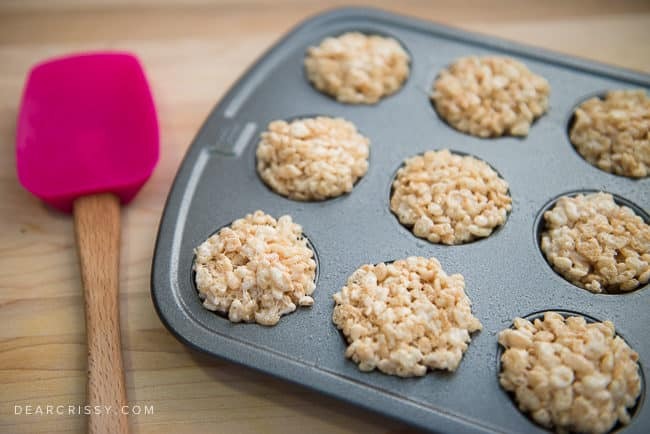 I wanted to make a cute, Easter themed treat for a family gathering and decided to make our Rice Krispies Treats special by pressing spoonfuls into mini cupcake tins! I used this opportunity to spend some special time with my daughter. Sometimes it’s great to pull one child aside and let them help on a special project. Kara also inspired our frosting, because as she’ll tell you again and again, pink is her FAVORITE color! 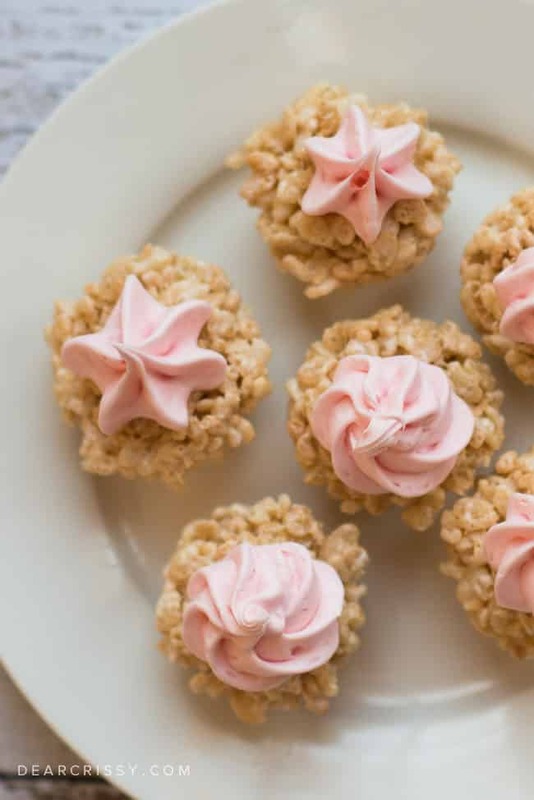 We used a tub of strawberry marshmallow frosting for our Rice Krispies Treats cupcakes but you can use any spring inspired frosting color, or, you can make your own. 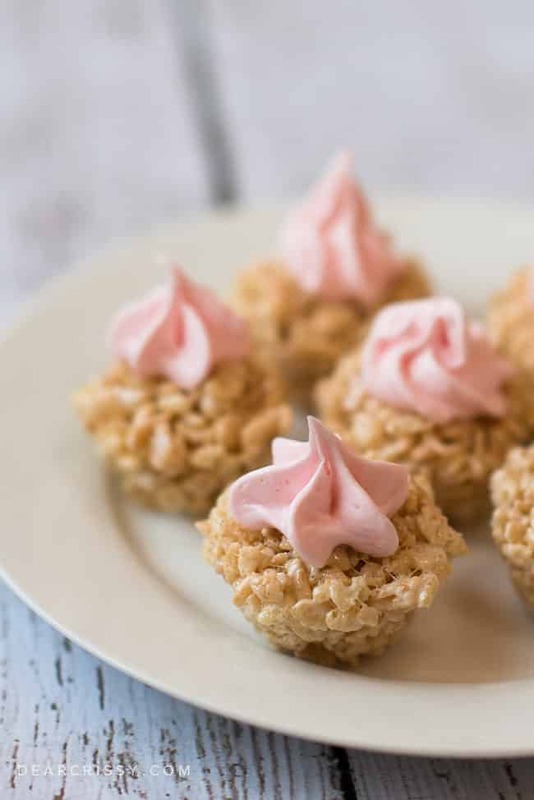 Sure, people know and love traditional Rice Krispies Treats, but it’s really fun to show up at parties with Rice Krispies Treats that have a unique twist. 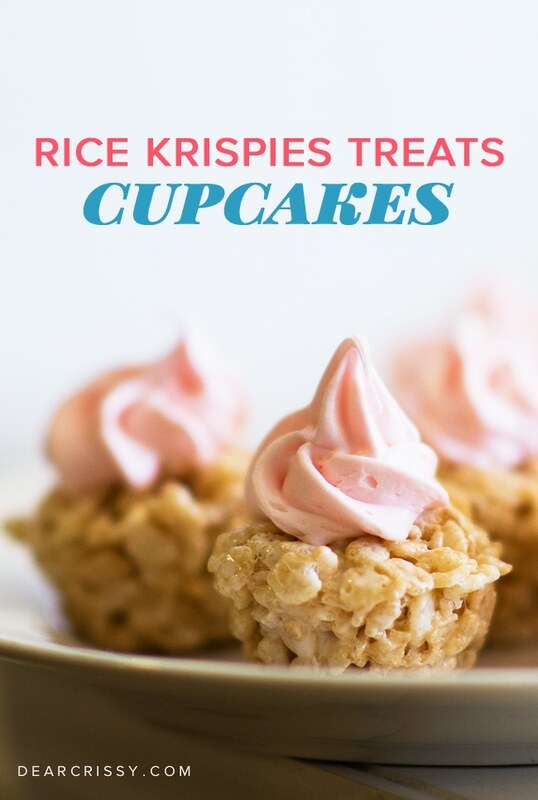 These little frosted Rice Krispies Treats cupcakes are so fun to eat. Your Rice Krispies Treats cupcakes can be dressed up even further with some bright sprinkles on top. 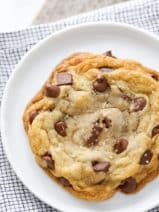 Not only are they are lovely little Easter treat, they would also be really fun for a birthday party. 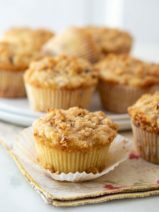 Plus, these Rice Krispies Treats cupcakes are nice and petite. 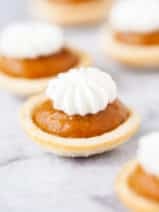 Just a little frosting goes a long way on top making them the perfect small treat for little hands. Be sure you press your mixture into the mini cupcake tins (sprayed with nonstick spray) while it’s still warm. 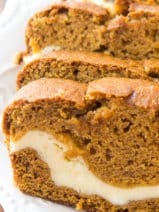 You’ll need to work quickly to fill the holes using a buttered spatula. Keep in mind that you don’t have to be perfect! Depending on how much mixture you put into each hole, you should be able to make about 24-30 mini Rice Krispies Treats cupcakes. These little goodies have really gotten me in the mood for Easter. I hope you love them as much as we do! 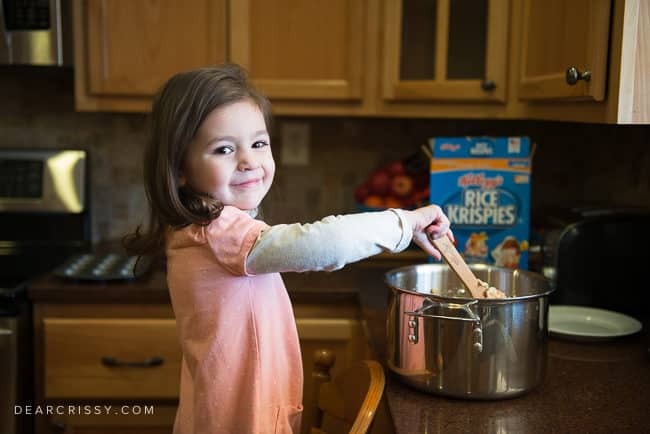 Be sure to follow Rice Krispies on Facebook, Pinterest and Twitter for more great tips and recipe ideas. 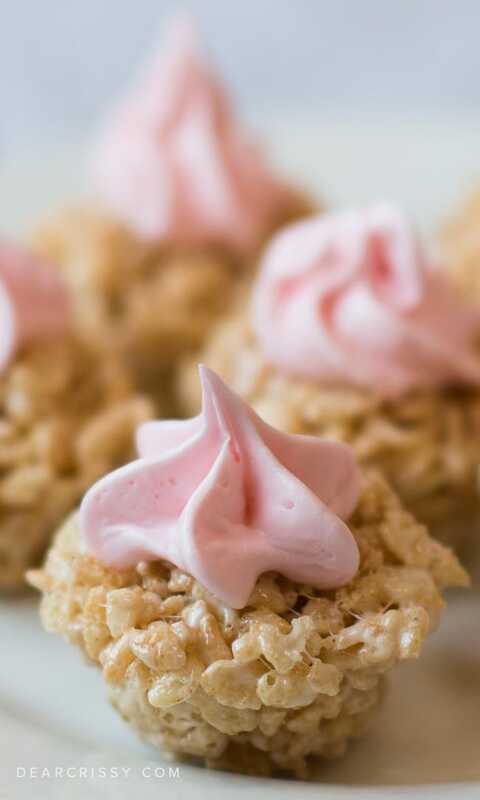 Looking for another great Rice Krispies Treat recipe? 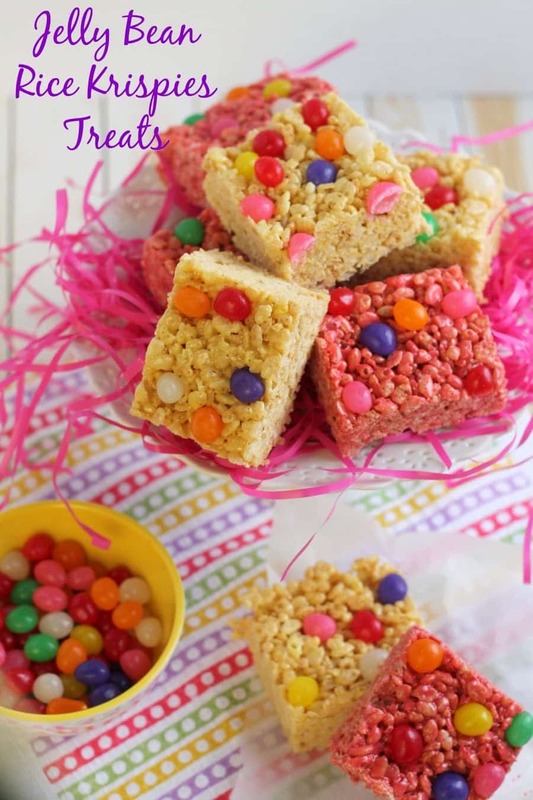 Check out these adorable Jelly Bean Rice Krispies Treats from Frugal Foodie Mama! My kids love jelly beans so I’m definitely making some of these with all those jelly beans that the Easter bunny will be bringing this weekend. 3. Using buttered spatula or wax paper evenly press mixture into mini cupcakes pan coated with cooking spray. Cool. 4. Remove mini Rice Krispies Treats cupcakes and frost using your favorite frosting. We used strawberry for an Easter/spring theme.